Clear straw green color. Aromas and flavors of salt water taffy, apple-pear soufflé, and banana chip with a silky, vibrant, effervescent, fruity medium body and a seamless, captivating, medium-long finish with notes of citrus gelato, spiced green apple, pistachio nougat, and wet grass finish. A pure and refreshing cider with great sessionability. 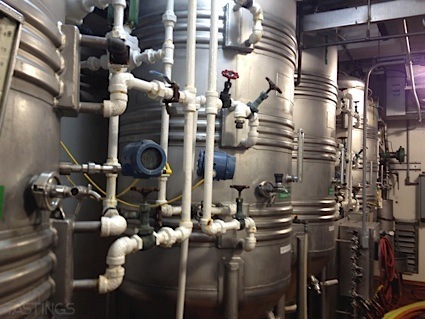 Bottom Line: A pure and refreshing cider with great sessionability. 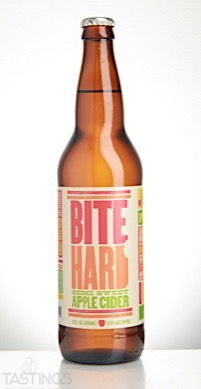 Bite Hard Semi Sweet Apple Cider rating was calculated by tastings.com to be 92 points out of 100 on 5/11/2017. Please note that MSRP may have changed since the date of our review.